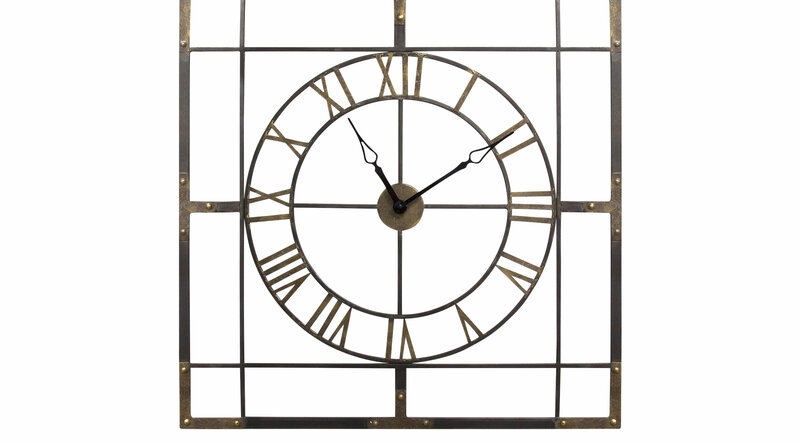 Update the look of any space with the Isiah wall clock. This magnificent timepiece made of handcrafted metal dresses up a plain wall and adds an impressive look to your home or office. This piece features an outstanding geometric style with a two-tone finish of rich bronze and antique brass.